Simple design and powerful options rise level of your WordPress shop to the top of online ecommerce. 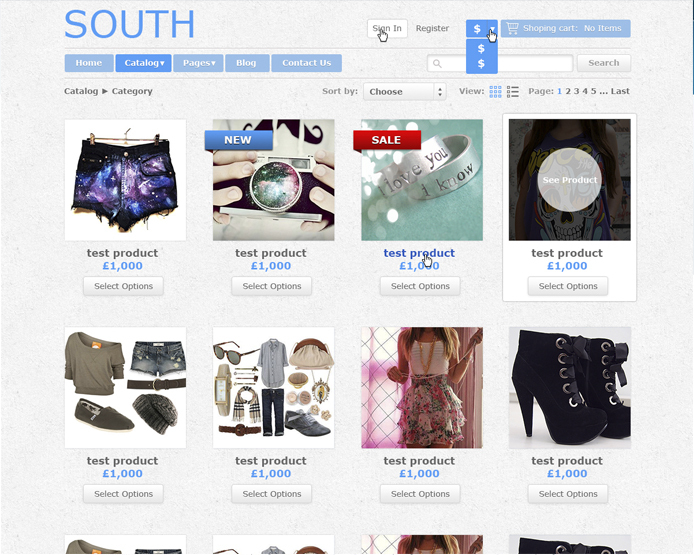 Choose “South” E-commerce WP Theme and get all options in one theme. Since WordPress appears to be one of the most viable and therefore popular ecommerce solution, so does the number of WordPress ecommerce themes and plugins. The number one reason why this trend is growing is the booming popularity of online commerce resulting in ecommerce themes and plugins selling like hot cakes all over the world. РІР‚ВEntireРІР‚в„ў Responsive E-commerce WP Theme is no exception. This theme features a variety of options enabling you to optimize your WordPress-driven website for all sorts of purposes ranging from traditional online shopping to running a business or media with ecommerce integration. 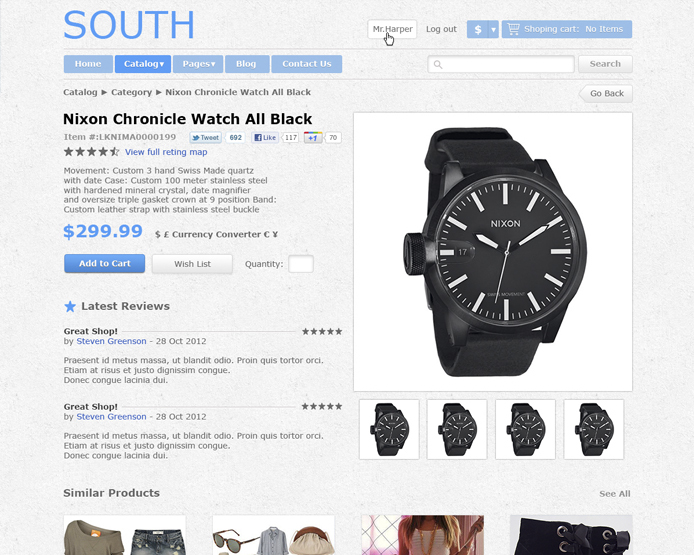 РІР‚СљSouthРІР‚Сњ E-commerce WP Theme is an all-in-one tool that effectively spotlights your products and integrates with a search plugin with a palette of product search options that enable your potential clients to spot their target products in less than no time. The robust and minimalistic interface design prevents your clients from getting confused and guides them all the way through your product lists. You can arrange sales pages in such a way as to create dynamic product lists, so that viewers will not be redirected to a new page every time they click on a link. 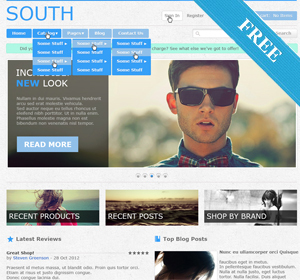 WordPress eCommerce themes. 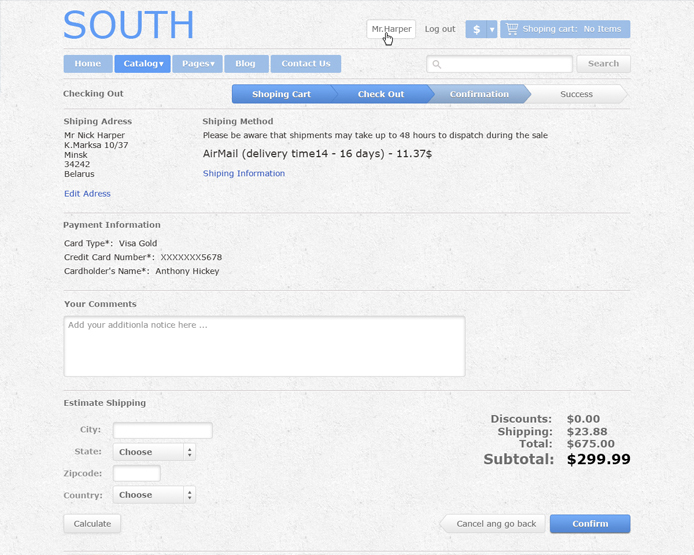 SouthРІР‚Сњ E-commerce WP Theme is undergoing constant optimization along with current mobile device trends. With this theme installed on your portable device or tablet, you can operate your business from any location. This theme gives you all you need to boost your sales and strengthen your position globally in your chosen niche!